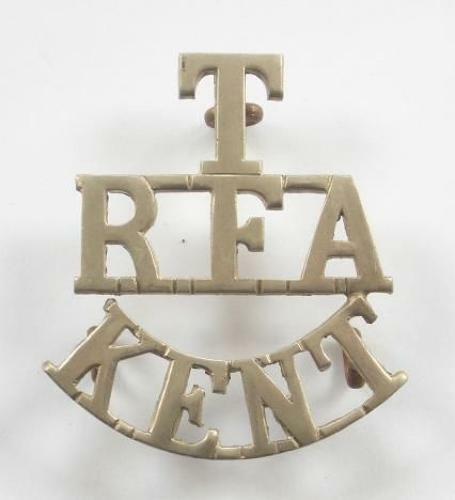 T / RFA / KENT white metal Royal Field Artillery shoulder title circa 1908-19. A good example on three loops. Worn by 3rd (Cinque Ports) and 4th (Howitzer) Home Counties Brigades with HQ’s respectively at Dover and Erith. 3rd fought in India & Mesopotania 1915-17, 4th in France 1916-18.